That’s a wrap for this edition of the partypoker POWERFEST. A total of 670 tournaments have been played, and a massive $69,106,263 in prizes have been awarded. But how did the final day action play out? Well, 13 High and High Roller tier events took place yesterday, and all eyes were on Event #142 Super High Roller Championship Event: $5,200 No Limit Hold’em. It attracted 327 runners, which created a $1,635,000 prize pool. When all was said and done, it was Finland’s Sami “LarsLuzak1” Kelopuro who claimed the title and the $317,190 first-place prize. Kelopuro defeated “A3APTEH” heads-up, and for his runner-up finish he banked $228,900. The second biggest winner on Sunday was Czech player “nipa3p3”, who took down Event #144 High Roller Championship Event: $1,050 No Limit Hold’em Progressive Knock-out for $97,014.50 plus $74,120 in bounties. Lithuanian PocketFiver “bebaimis777” emerged victorious in Event #141 High: $215 No Limit Hold’em Progressive Knock-out, adding $29,100.75 plus a bounty prize of $14,730 to his bankroll. “WWWpartyCOM” had a successful final day. 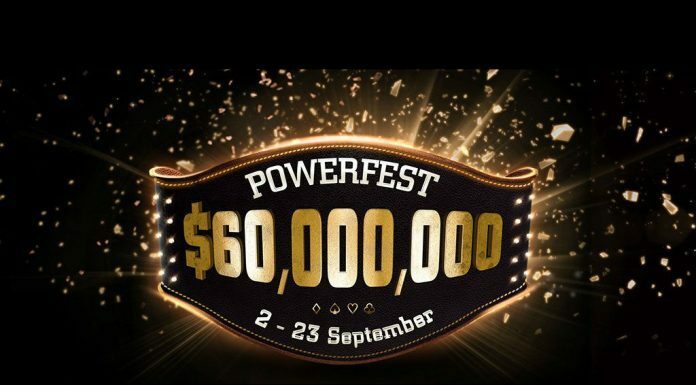 Not only did he or she win the final event of POWERFEST (Event #147 High: $109 No Limit Hold’em Turbo Progressive Knock-out) for $6,161.74 + $6,167, they also finished third in Event #145 High Roller: $530 Pot Limit Omaha Six-Max for an additional $12,397.27. “OMGLOLWTF” had two good runs in NLHE PKO events (the $1,050 High Roller and $215 High), finishing sixth in the former for $9,485.50 + $7,771, and second in the latter for $20,648.25 + $2,257. Other winners on Sunday include “gutter.”, “R0meluLukaku”, “jizonhisniz”, “wMagnus”, “NorotiousGIB”, “METH4WEIGHTLOSS”, “pixxer_fixxer”, “dubble_me_up”, and “DeuceofDuc0”.